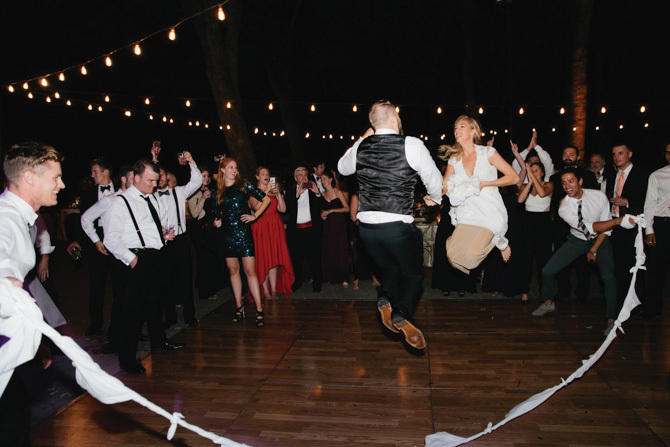 Gillian and Paul met in Colorado the old-fashioned way, through mutual friends. The pair dated for a year and a half before Paul proposed inside The Art Institute of Chicago. The groom’s uncle, The Honorable Robert Balanoff, officiated at the ceremony at the Silverado Resort in Napa where the reception followed on the golf course under the oak trees. To add to the sweetness, the couple’s French bulldog, Layla, served as “flower pup” by meandering down the rose petal strewn aisle. The bride, daughter of Dr. Darrick and Lisa Antell of Greenwich, graduated from The Lawrenceville School and the University of Southern Califorina. Gillian works for SalesForce in Chicago. The groom, son of James and Rebecca Balanoff of Illinois, graduated from Oak Park and River Forest High School and the University of Colorado at Boulder. Paul is a senior case manager at Balanoff and Balanoff Law Offices in Chicago. The newlyweds honeymooned in Argentina before returning home to Chicago.